Tecnico Blanco is 100% Weber Blue Agave Tequila, produced according to the traditional methods stemming back hundreds of years. Not aged in wood casks by definition, Blanco packs the strongest punch of Agave flavors. 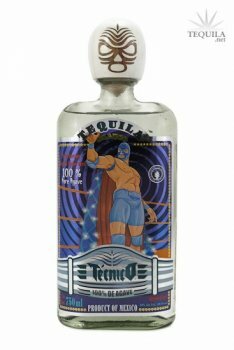 Tequila Técnico is a worthy member of our team of champions or parejas increibles (incredible pair). Produced from 100% Blue Agave in the Highlands of Jalisco, it honors the very spirit of Técnico's character - noble, refined and elegant in style. This carefully elaborated tequila offers unparalleled smoothness and depth of flavor, which will satisfy even the most sophisticated palate. The Tequila is aged in white oak bourbon barrels until alcohol mellows and the flavors of the Blue Agave are perfectly married to the subtle toasted notes from the wood.